• Charming rhymes and colorful illustrations • Children learn about the natural beauty of Vermont...and a fascinating legend! • Shankman & O'Neill create winning children's books - other titles in the series include "The Boston Balloonies," "The Cods of Cape Cod," and "I Met A Moose in Maine One Day," which won the top Mom's Choice Award in 2009 in the Children's Picture Books-Humor category. Author Ed Shankman and illustrator Dave O'Neill turn their attention to Vermont and one of that state's great legends: Champ, the "Monster" of Lake Champlain. 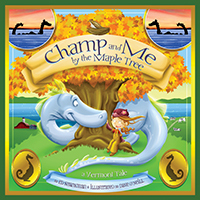 Champ is seen through the eyes of a likable tomboy, who sets out from her favorite spot by a maple tree and finds herself by the lakeshore. She meets Champ, who turns out to be a very kid-friendly monster—inviting the girl to sit on his head and ride with him through the Vermont countryside. 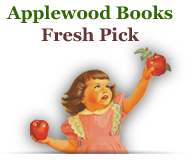 Together, these unlikely friends dash past farms and mills and over covered bridges, meet some cows, eat some maple syrup-covered cheese, and eventually return to the girl's favorite maple tree. 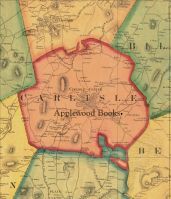 The charming story ends as it began: "If you come to Vermont / Near a lake called Champlain, / And you cut through the woods / On an old country lane, There's a chance you will see / My friend Champ and me / Playing happy and free / By the old maple tree."